Fly to Kiruna (via Stockholm). On arrival, transfer to Camp Ripan, just 15 minutes away. Check-in to your comfortable 1-bedroomed apartment. We have arranged entry to the Aurora Spa complete with Sauna Bucket. 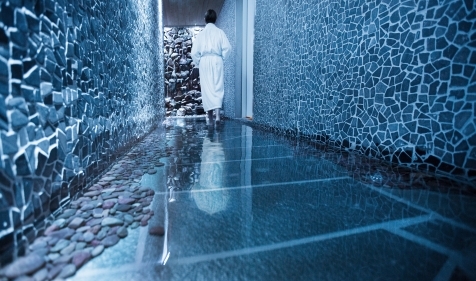 You can enjoy the winter-white landscape through panoramic windows, dip between the warm pools and cold, inside and out. The facility is open until 10pm, so enjoy either before or after your 2-course dinner. After breakfast, you will be taken to the nearby husky kennels, where you will meet a team of dogs, all eager for their morning run. After instruction, mush in pairs taking it in turns to speed through the frozen landscape. Stopping en-route, lunch will be served at a wilderness hut, before you don a pair of snow shoes for a short foray into the surrounding forest, looking out for Arctic wildlife along the way. Return to your husky team and mush, ever confident, back to the kennels and Camp Ripan. A 2-course evening meal is served in the restaurant. 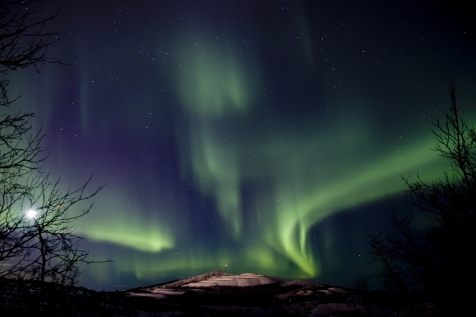 If conditions are right then you may be rewarded with an evening show of the Northern Lights. Enjoy a leisurely breakfast as this morning is at leisure. The afternoon is for you to get to grips with Sweden’s most common form of transport (after the Volvo). Following full instruction and driving in pairs you will head out on your snowmobile into the low mountain areas nearby. A light snack will be served in a Lavvu surrounding an open fire, before swopping drivers and heading back. You will arrive back at Camp Ripan in good time to prepare for the evening’s 7-course gourmet dinner. At midnight raise a glass of champagne in frontof a roaring fire. Camp Ripan does not do fireworks, but hope for a stunning display of the Northern Lights to light up the sky and welcome in the New Year instead. Today has been set aside for you to decide how active you wish to be. There are a whole host of excursions on offer, including moose and horseback safaris and Aurora excursions. Please refer to our website or speak to one of our consultants. A 2-course dinner is served in the restaurant. 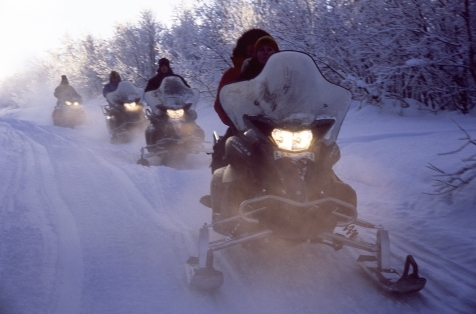 Today’s Arctic adventure is a snowmobile safari to Jukkasjärvi, and home to the ICEHOTEL. 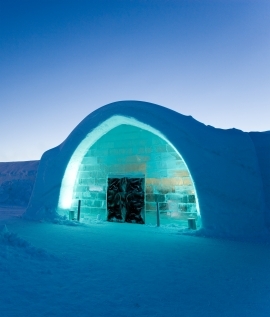 First, travel across frozen marshland and through boreal forests before enjoying a tour of the world-famous ICEHOTEL and the spectacular ice carvings therein. Lunch is at the ICEHOTEL restaurant, after which you return fortified to Camp Ripan,where there is every chance, weather permitting, of catching a view of the Northern Lights. Breakfast before bidding a reluctant farewell to this enchanted place. Transfer to Kiruna airport in time for your return flight to the UK.